... in the heart of Soho, Upstairs At Ronnie Scott’s! 1/3 - JESUS COUTINO / TBC... am-6pm Mon-Fri). ... from audiences and the press. Renato studied with masters such as Sal Nistico, Tony Scott, Steve... , Kirk Lightsey, Keith Copeland, Duffy Jackson, Tony Scott, Jim Mullen, Bruce Forman, Gene Calderazzo... , Finland. Tuesday of the month, upstairs at Ronnie Scott’s! ... ’!... We’ve the intimate, atmospheric setting Upstairs At Ronnie Scott’s with the spontaneous vibe of an... Ronnie Scott’s! 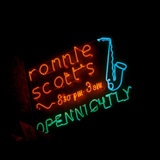 The Ronnie Scott´s Upstairs Jazz Jam!!! Ronnie Scott´s Upstairs Jazz Jam!!! below..